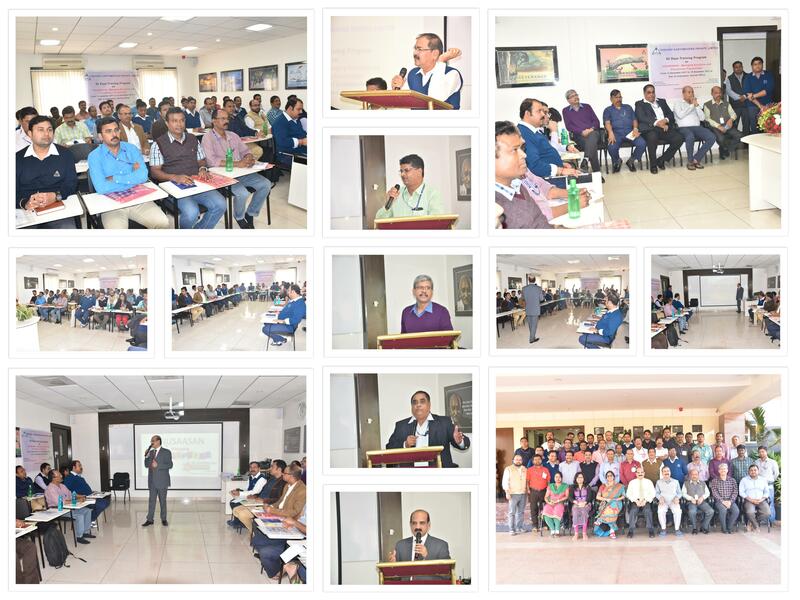 Two Days Training Program on “Anusaasan – Managing Discipline and Disciplinary Proceedings” in industry was conducted successfully from 13 December 2017 to 14 December 2017 at Hall of Inspiration, Central Office, Unchabali. Mr. Fasihul Hasan, Labour Enforcement Office (Central), Barbil inaugurated the training program in presence of Mr. Y R Obalesh, VP – Operation, Mr. B C Swain, AVP (HR- IR) and other Key Personnel of the company graced the occasion. The Training program was facilitated by Dr. Suvendu Das, Managing Director of Hiteisee Consulting. Bhubaneswar, Dr. Das is currently Vice-President of Odisha State Productivity Council; Member of HR & IR Sub-committee of CII, Odisha & CII Eastern Regional Council; member of the Academic Council of IMI, Bhubaneswar; Executive committee member of NIPM, Utkal Chapter; Executive Committee Member of Utkal Chamber of Commerce & Industries. He is also member in the SAQS Accreditation team of AMDISA. The Training program was organized under the aegis of Mr. B C Swain, AVP HR – IR. 43 officials from HR and other domain across Pan India operations participated in the training program. The program was very effective and to enrich the skill of all participants to manage the discipline and disciplinary proceedings in their respective projects.